After a fine performance today, expected by most people to be top 3 or the winner, we were placed 9th at the North West Area competition at Blackpool. The band is gutted with the result after such a good performance, and most people we’ve spoken to have said how dismayed they are at the result. That’s banding, hard though it is to take at times. Congratulations to those who were looked on more favourably than us, we’ll be back next year! If you’re one of the growing number of Twitter users, the band now has an account that you can follow us on. Just got to http://twitter.com/Freckletonband. The band also has a Facebook Group if you use that. A simple search on Facebook will find us! New signings for the Area and beyond. As with all bands at this time of year, we have a couple of new faces for the forthcoming contests. Our regular percussion team is unable be with us, with Dave Hogg relocated to Germany, and Dave Little busy with work inspections, so we have had to draft in some help! We welcome Rachael Keefe on Percussion, and Chris Starr, also on Percussion, makes a welcome return to the band. Rachael plays with Wigan Youth Brass Band and Jazz Orchestra, and Chris is formerly of YBS and Faireys. Paul Hawkin, formerly of BT, recently joined the band on cornet, but can’t be with us for the contest as he had already arranged to go to New Zealand. We welcome him all the same though! Brass at the Guild . Good result at Brass at the Guild. The band put in an excellent performance today at Preston’s Guild Hall at the annual ‘Brass at the Guild’ competition. We were awarded 2nd place, a great achievement as we beat several local rivals as well as many bands in the section above us! Congratulations to Pemberton who won the competition. The entry date for Lytham Brass Festival has been extended until the 6th March! Time for everyone to get over the competitions coming up, and get an entry in. Busy year ahead for the band. (15th March) and the exciting new Lytham Brass Festival (21st March). See our Events page for more details. We have exciting plans for a trip to Canada at Easter 2010 as well, and the initial arrangements are being discussed for this. Keep up to date with all the goings on by checking back regularly! Happy New Year from the band! I’m delighted to report that, besides a handful of tickets, our concert at Lowther Pavilion with Bernard Wrigley on Sunday 21st December is SOLD OUT! A very wet carolling group! Harry, Vicky and Hayley with the Magic of Christmas! The Band have had 2 very different Christmas Events this week! 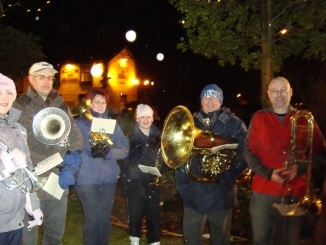 On Tuesday, a small group played carols at the Lighting of the Christmas Tree lights. The weather was terrible, and the Carol books still haven’t dried out. 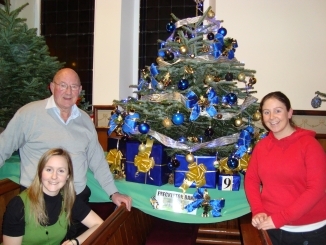 On Thursday, Harry, Vicky Little, Hayley Gardiner and Rachael Shore decorated the band’s entry into the Freckleton Christmas Tree Festival at the Methodist Church. The exhibition is open until Saturday 6th December, pop along and see all 22 trees! The band is well underway preparing for the busiest season of the year! Our first Christmas event is Tuesday the 2nd, at the annual Tree Lighting Ceremony, and the band plays extensively throughout December until Boxing Day. Details of our events are below, and don’t forget to order your “Christmas with Freckleton Band” Cd’s! There are also several evenings of Carolling around the village, including Christmas Eve, and Boxing Day morning, and hopefully the Annual Boxing Day afternoon in the Coach and Horses! The Band have just returned from an extremely successful day’s contesting! At the Wilkinson’s Northern Open in St Helens, Freckleton ‘cleaned up’ winning every prize on offer in the top section. Mike Golding, awarded Best Soprano. Nothing ever stays the same for long! The band is delighted to welcome back Peter Lockett to play EEb Bass with us. Peter is a well respected player with many years experience of both playing and conducting at the highest level of banding. His first appearance will be at the St. Helen’s contest on November 16th. 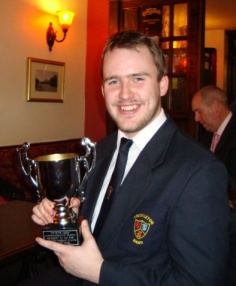 Unfortunately, we will be saying goodbye to Matt Whitfield our talented young percussionist at this contest. He’s moving on to the Wingates Band, saving many miles on his dad’s car! From all at the band, good luck and thank you! ..is our first, hopefully annual, Patrons Concert. It’s on Monday 3rd November at the Village Hall in Freckleton, and we’ll be providing Cheese and Wine as well as a programme of music including Patron’s requests as a special thankyou to our generous supporters. For more information on our Patrons scheme, click here. Members of the band will be playing festive carols at Dobbies Garden Centre in Clifton on Thursday 2nd October from around 8pm. Ian Walsh joins the front row. The band is delighted to welcome Ian Walsh, former Principal Cornet of the Poulton-le-Fylde Band, to join our front row cornets. Ian joins his wife Marge, who has been with the band on horn a while now, and brings a wealth of experience to the cornet section. We welcome him, and hope he enjoys his time with the band! The Band is staging a free concert for all Patrons and their wives / husbands / partners. The concert is at the Memorial Hall on Monday the 3rd November at 7.30pm. There will be cheese, wine and other refreshments, as well as a chance to meet the band. All the details are in the forthcoming Patrons Newsletter! …but the band has, reluctantly, decided to not attend the Fleetwood Contest this year, due to the date of the contest being moved to a week later than usual. It’s come to light over the past couple of weeks that several players wouldn’t be available to play. Two players had booked holidays last January around the usual Fleetwood date (first weekend in October), one couldn’t get out of work, another had an existing playing engagement, and to top it off Paul Dalton, our Musical Director, found out at the start of term at his new job, that it was Kirkham Grammar School’s ‘Open Day’ that day and couldn’t guarantee to get there for the start of the section. It’s a bitter blow to the band, who have taken the 1st prize on almost every occasion in the last fifteen years, but it’s not physically or financially viable for us to compete under the circumstances we find ourselves in. We will, however, be attending the St. Helen’s Contest for the first time in a few years in November. St. Cuthbert’s ‘Last Night of the Proms’ . The band gave an extremely successful concert at St. Cuthberts in Lytham last night, to a large, appreciative, and enthusiastic (sometimes rowdy!) audience. Audience members had come prepared with flags, Union Jack waistcoats and there was even an Army Helmet on show. All the Proms classics were included in the Second Half, but, as at the ‘real’ event, the first half was devoted to more normal programming, including Malcolm Arnold’s ‘Four Scottish Dances’, ‘Titanic’, and solos from John Stevens (Stardust) and Patrick Howard (Shenandoah). Our vocalist, Vicky Little, also sang ‘Du bist de Ruh’ and ‘Rule Britannia’ in the Second half, on her last appearance with the band. The concert also featured the popular organist Peter Jebson, playing both with the band and also in a short solo spot of ‘The Dambusters’ in Theatre Organ style! 3rd Quarter Draw Results . September’s lucky numbers for the band’s lotto scheme have been drawn. If you’re a lucky winner, we’ll be in touch soon! The band lose two key players at our Concert in Lytham on Saturday. Vicky Little, previously our flugel player, is leaving to persue her ‘trained’ musical interest, Opera, and has already gained lead roles in local Opera companies. Jonathan Hall, EEb Bass, is leaving to complete his Doctorate, and has also taken Consultancy work for Youth Music around the Country. Both players are real characters, and will be missed by everyone connected with the band. Neither intend signing for anyone else though currently, so we’ll be pestering them soon! Russ Queenan has stepped into the flugel seat admirably from 2nd cornet, so we have vacancies for both cornet and principal EEb bass. In other moves, Mike Golding has returned to the band, but on Soprano Cornet. Mike has previously played front row with us, but has always classed Soprano as his first instrument. We thank Phil Symonds for all his work for, and with, the band over the last 7 years, and wish him well at his new band Stockport Brass (Formerly BT). Phil has left a big administration hole to plug with the many jobs and tasks he undertook, he’ll be an asset to his new band! On Saturday the 6th September, members (current and former), helpers, friends and family of the band all enjoyed another excellent Social Event hosted by our Vice Chairman and biggest supporter, Harry Latham, at his residence in Freckleton. The ‘Official start’ was 1pm and I think it wrapped up around 3am the following morning, although most of us were tucked up in bed by then! Caroline Cross has just joined us from Blackpool Brass on Solo Horn. 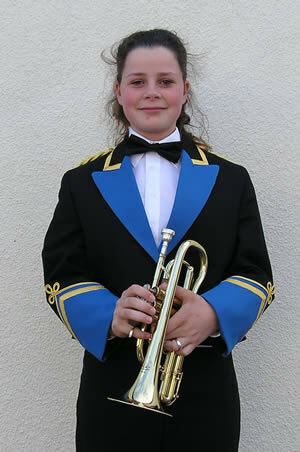 Caroline, not only being a good player, is also a superb ‘Bandsperson’, just what every band needs! Alan, who willingly stepped in to fill the empty Horn vacancy, has now returned to his seat on Solo Baritone. A little late news but…nice to have a new signing to the band. Ria Smith has joined us on 3rd Cornet. Reports from Rachael who sits next to her, says, she is doing superb! Russ is very happy. His wife, Nicky has just given birth to a baby boy. The composition was titled ‘Fieldhouse’ and reflects on Mike’s times and memories with The Rochdale Music Service. What a player to have to try and replace! Final Week before we lose a great player. The band finish next Thurs, 17th July and over this week and next, have brought in guest conductors as Paul Dalton took an earlier vacation. Last Monday saw John Ward at the helm, tonight was Malcolm Brownbill. Next Monday will be John Binns and then, to finish, Gareth Pritchard will be conducting. All four conductors are taking the band through various major test pieces, (one being Infinity, the recent English Nationals Test Piece), with the view to use in the future. Winding down for the summer Hols . 4 Bars rest have done a nice report on our latest CD, In Search for Atlantis. See this link to view…..
Another concert is over for this year. This time, we had the James Maddison University Band (directed by Kevin Stees) at Kirkham Grammar school. Well done to Harry Lathom and his helpers for all the work they did. Here is also a comprehensive report from Andy Cattanach……. Sunday the 29th June saw the James Madison University Brass Band, with founder and conductor Kevin Stees, perform the first concert of its 2008 UK tour with their hosts for the night, the Freckleton Band. The JMU band arrived on Friday, and had already attended a Fodens rehearsal, The English National in Preston and had spent the earlier part of the day in the Lake District, including a boat tour on Windermere. Their guest soloists for the tour are Stuart Lingard and Sheona White. Sheona has quite an association with the band, having been over to Virginia to work with them before. As such, a rehearsal had been arranged at the concert venue (Kirkham Grammar School) for 4pm to meet the band and soloists. On hearing the band in this short rehearsal it was instantly apparent that their approach to playing is somewhat different to the British way, with no edge from any section of the band, including trombones, regardless of dynamic! Also the use of 2 CC and 2 FF tubas instead of our BBb and EEb basses made an interesting change. After their rehearsal the band headed off to the many ‘British’ takeaways in Kirkham for some refreshment! The concert was Freckleton Band’s annual Charity concert, in support of Trinity Hospice and the Wrea Green Lifeboat association. Past concerts have featured a wind band from Perth, Australia, and the Keighley Vocal Union. When Kevin Stees put out a plea for performance opportunities for the JMU tour, Chairman Andy Cattanach immediately contacted Kevin and set a mutually convenient date. With Freckleton being very close to Preston, the date tied in well with the chance for the students to attend the English National, which was the first time many of them had heard a British Brass Band in the flesh. Reports from band members were that they were knocked out by the playing! The concert opened with the Freckleton Band, conductor Paul Dalton, with a March Medley of Stars and Stripes and O.R.B. to contrast American and British march styles, followed by Principal Cornet Alex Thomas in a superb rendition of Kenny Baker’s ‘Virtuosity’. The band’s final contribution in the first half was the live premiere of Ben Tubb’s ‘In the Search for Atlantis’. This is the title track of the band’s latest CD. Ben was solo horn with Freckleton before his move to YBS earlier this year, and the CD features several of his compositions and arrangements. Ben was present and so was introduced to the audience and presented with a copy of the CD before the performance, which was received rapturously by the 500+ attendees. The JMU band started their set with ‘Simoraine’, before moving into Stuart Lingards solo spot of ‘Lark in the Clear Air’ and ‘Zelda’. Stuart’s playing was inspirational, and the bands accompaniment tasteful and sympathetic at all times, especially considering the lack of joint rehearsal. Their next item was a new composition especially for the tour by Philip Sparke. ‘Letter from Home’ paints a picture of the home of JMU, with flowing melodies and lines and featuring several ‘corner men’. This was, for me, the best playing of the night from the band, and proved a hit with the audience, and will probably be a welcome addition to many band’s concert repertoire in the future. After a welcome interval, the JMU band started the second half with Curnow’s ‘Fanfare and Flourishes’ followed by Sheona White’s solos ‘Demelza’ and ‘Capriccio Brillante’. Kevin spoke warmly about Sheona’s association with the band, and her performance was, as usual, stunning. They concluded their portion of the concert with ‘Slaughter on 10th Avenue’, a rousing conclusion to the bands first tour performance. After the obligatory raffle, the Freckleton band was brought back on stage to conclude the concert. ‘Blenheim Flourishes’ opened the final set, followed by Tim Bateman on bass trombone playing Bill Geldard’s arrangement of the George Roberts classic ‘In the Hall of the Mountain King’. Tim’s flamboyant playing, from memory, and wandering around the space, was greatly enjoyed by the bands and audience alike! The concert was brought to a climax with a rousing performance of Peter Graham’s ‘Shine as the Light’, always a favourite with both performers and audiences. The JMU band were travelling to Cardiff the following morning, via Warwick Castle, to visit and perform with the Cory band, and also have performances with the United Co-op Yorkshire and Milnrow bands to look forward to. If you get chance, catch them live, it’s an entertaining, and eye opening, band! 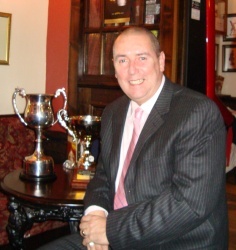 Andy Cattanach, Chairman, Freckleton Band. James Maddison University Band on their tour of the UK. Listen To The Band Recording. Just in from a session at BBC Manchester Recording Studios for a slot on Friday Nights Listen To The Band. It should be on air around August/September 2008. Keep an eye on our News Page for details. We had a great time directed by Producer Terry Carter.